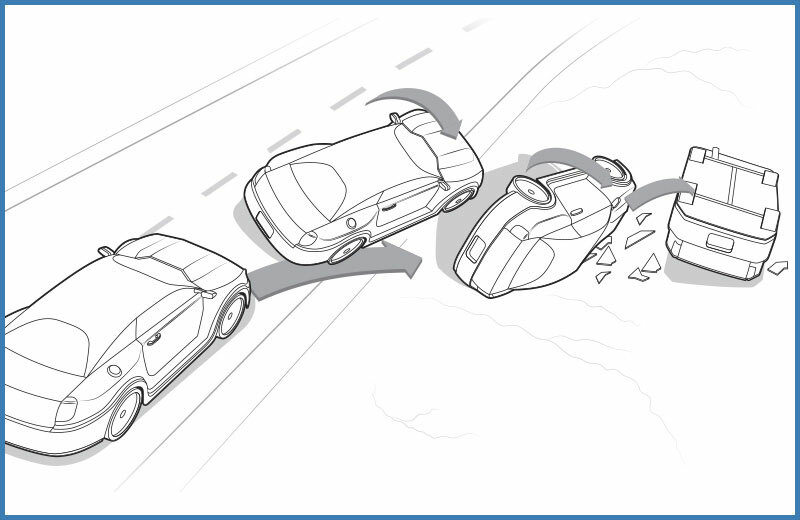 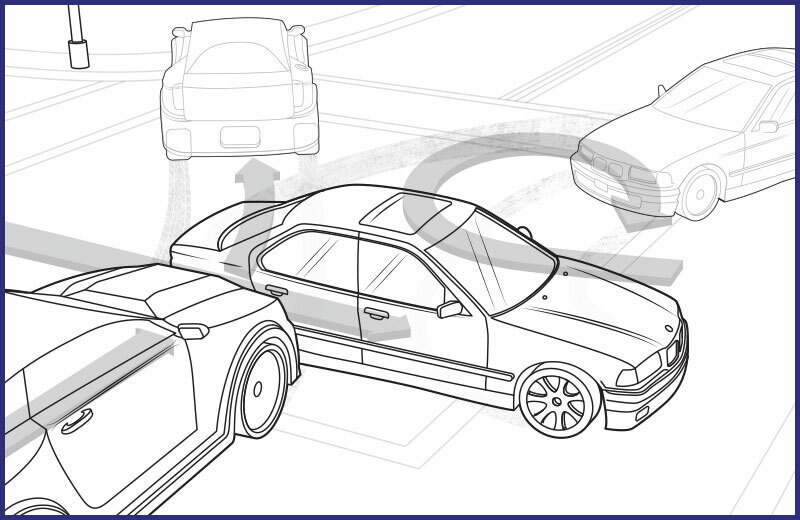 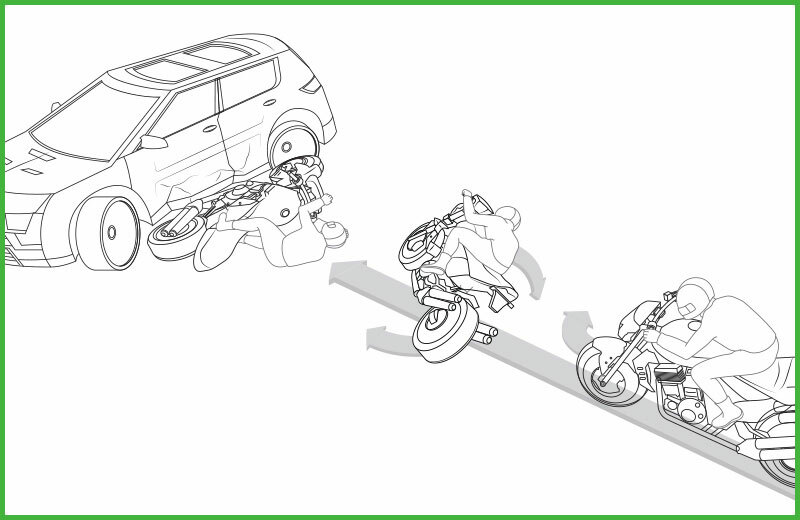 A vehicle roll over accident scene technica line drawing showing the step of vehicle rotation. 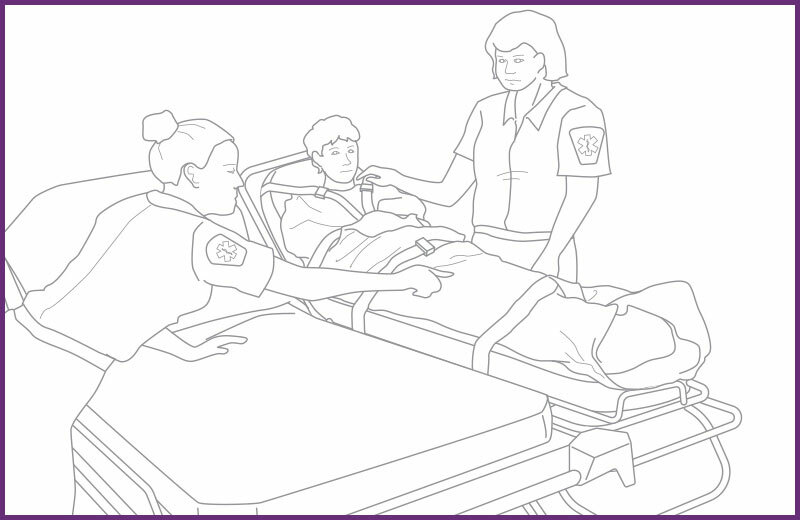 Client: CCDMD: A series of approximately 20 illustrations that will be used in a paramedical student instructional handbook. 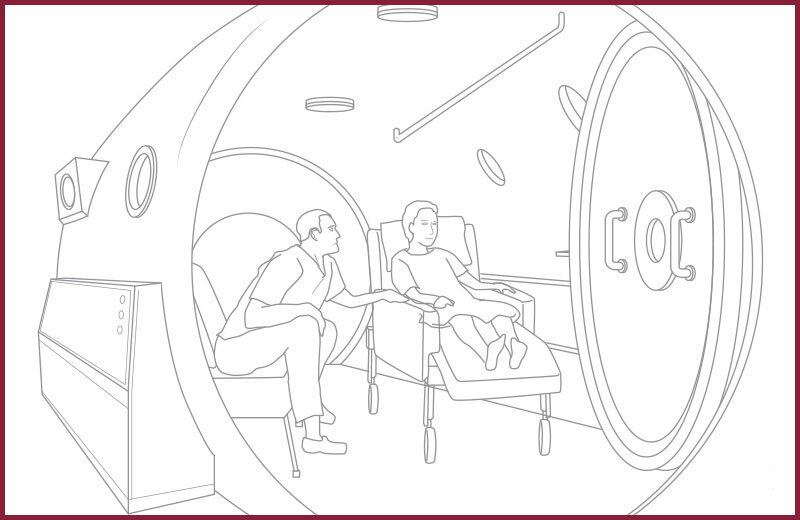 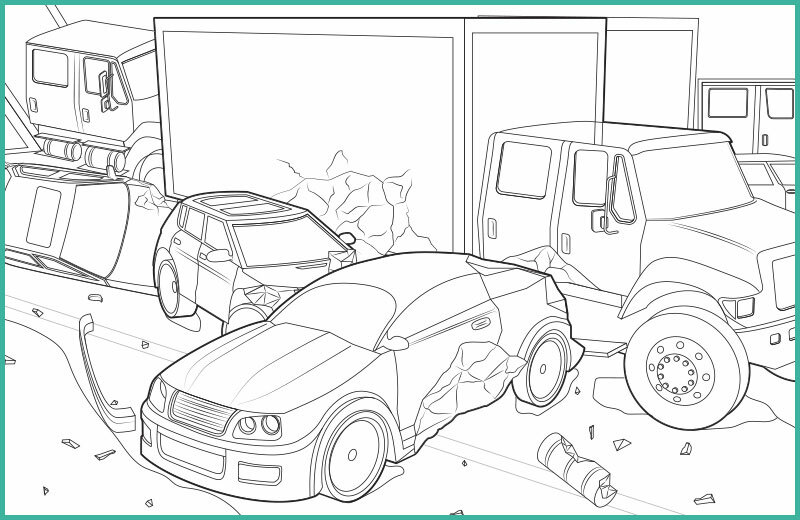 The various technical illustrations depict crash scenes, hospital and on-site scenes and medical equipment usage.